Franklin Matters: Franklin Public Library February 2019 Newsletter - Links to Surveys! 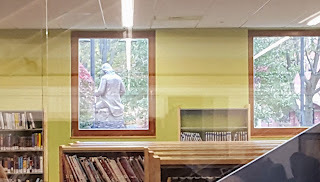 Franklin Public Library February 2019 Newsletter - Links to Surveys! A lot has been accomplished since our last Strategic Plan five years ago culminating in a magnificent renovation/addition, and the restoration of the library's budget. Now, we need your help in charting the future of library services. Please give us your feedback about the Library by completing the surveys below. We'll use your input to craft a new 5 year Strategic Plan that will be used to set priorities and guide our decisions about library services to the community.